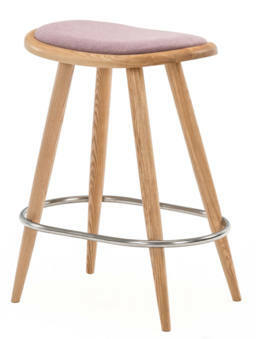 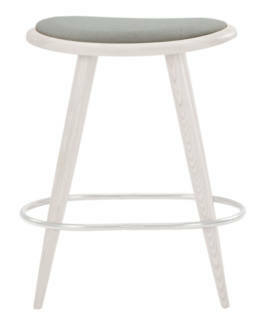 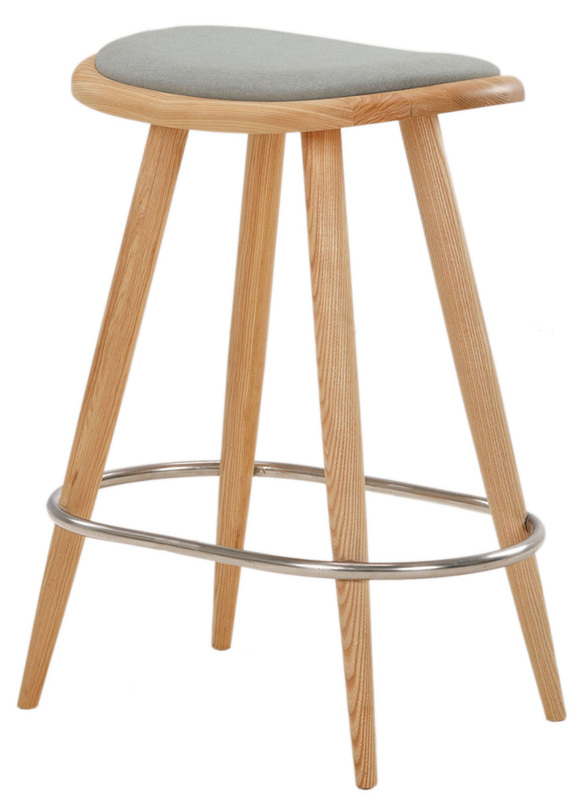 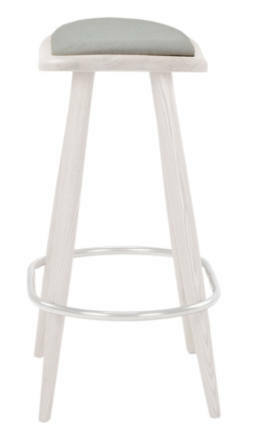 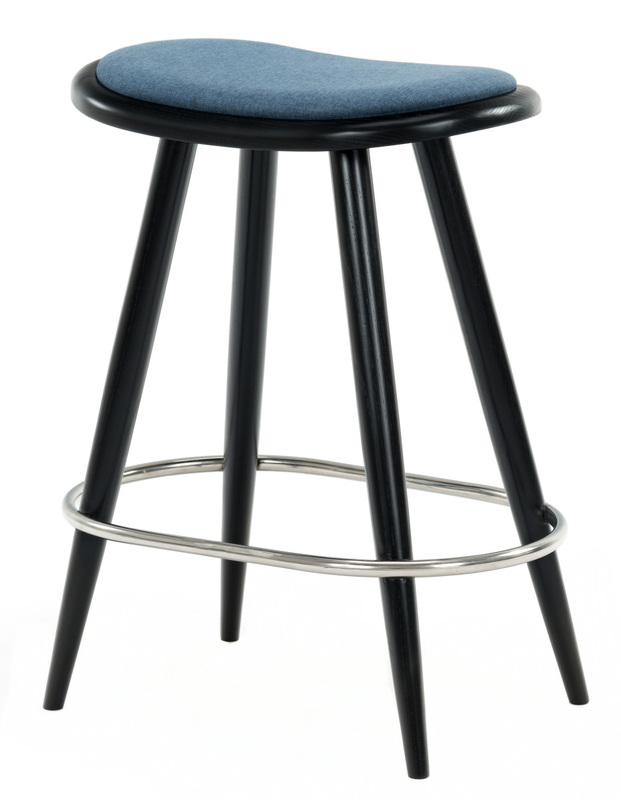 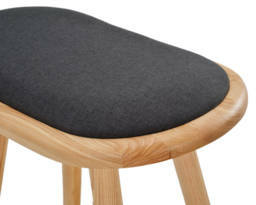 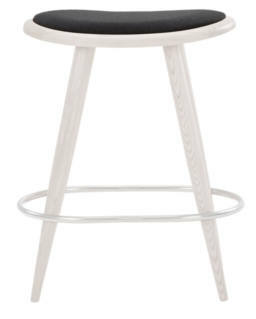 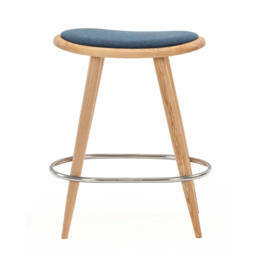 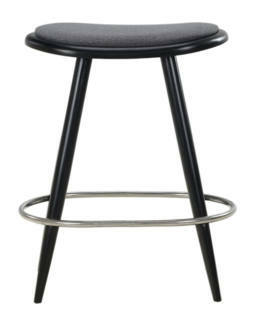 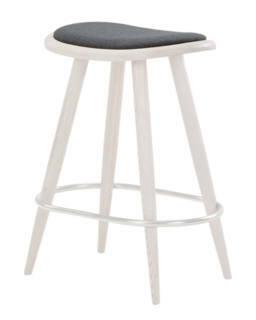 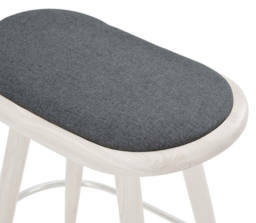 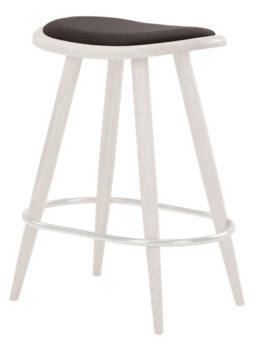 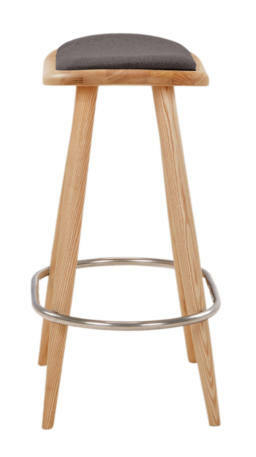 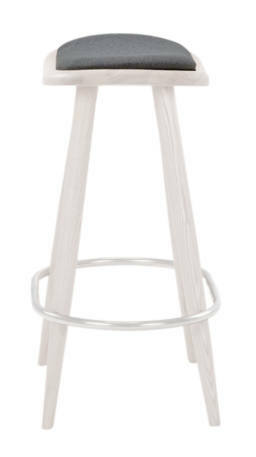 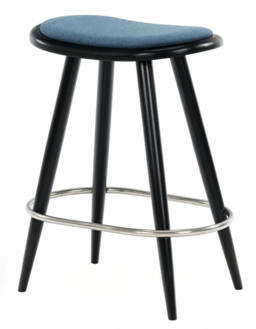 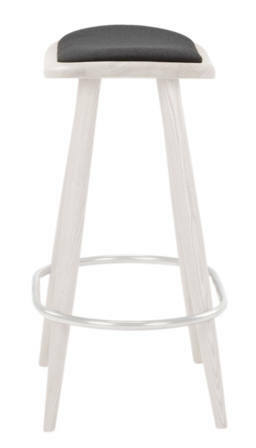 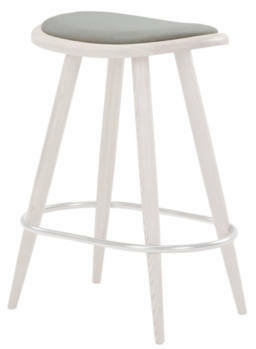 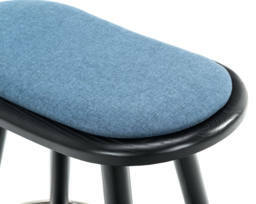 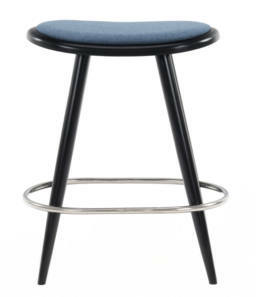 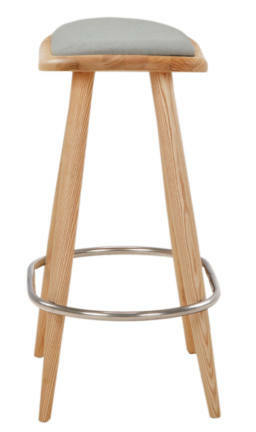 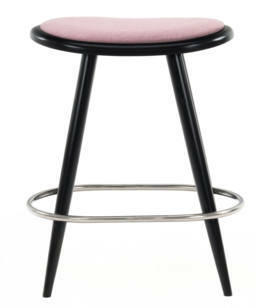 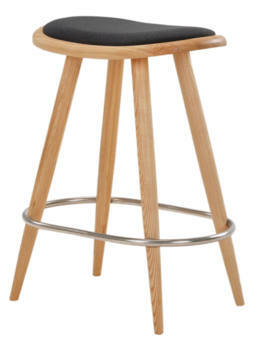 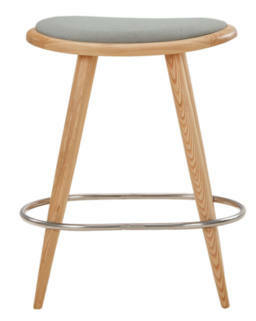 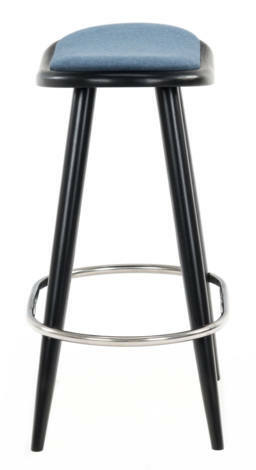 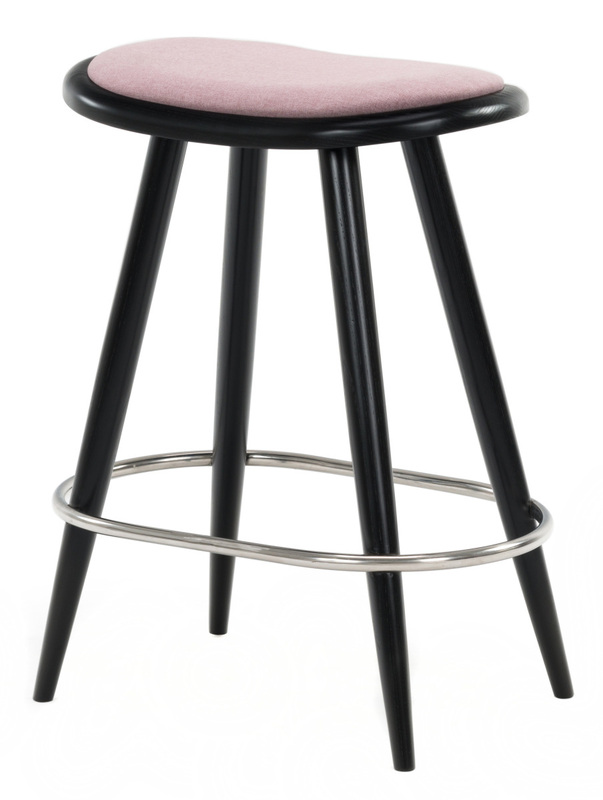 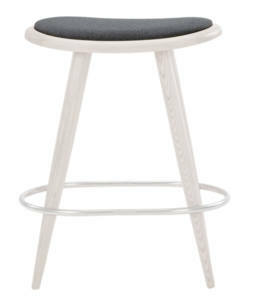 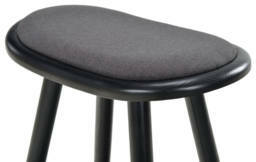 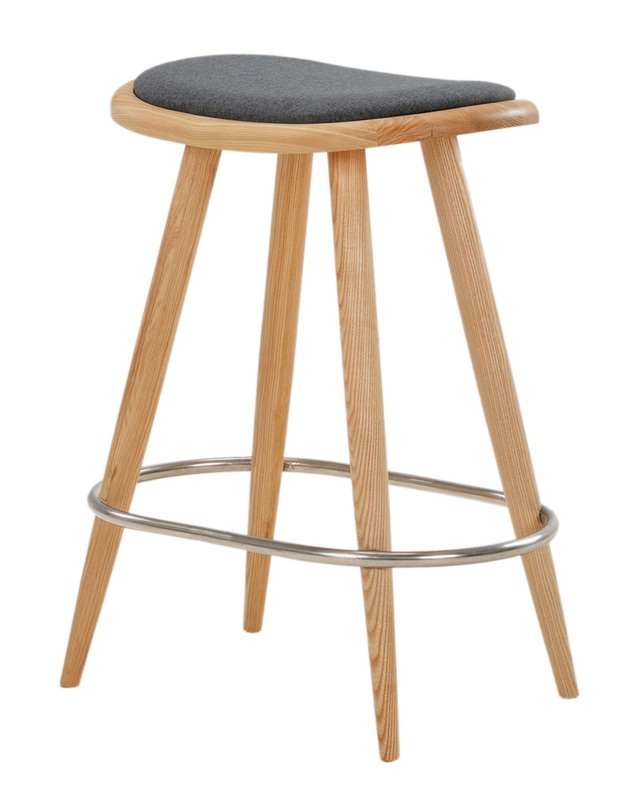 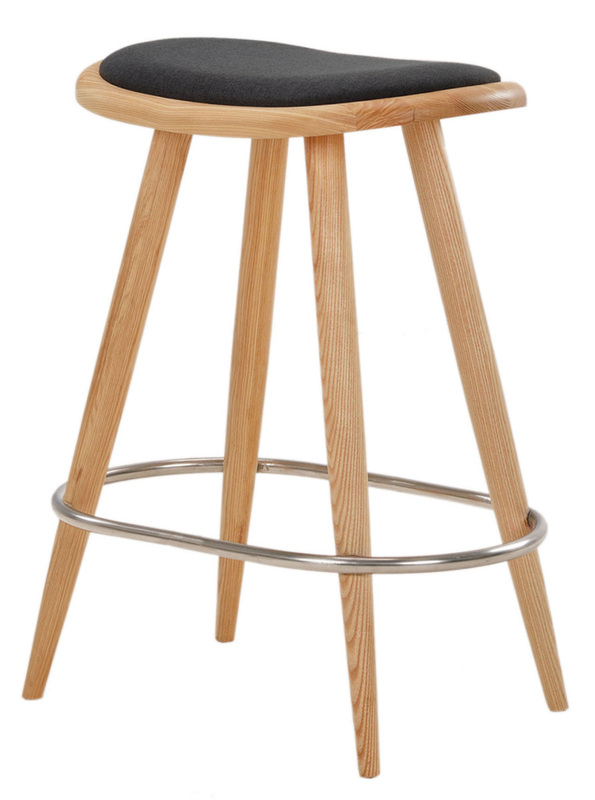 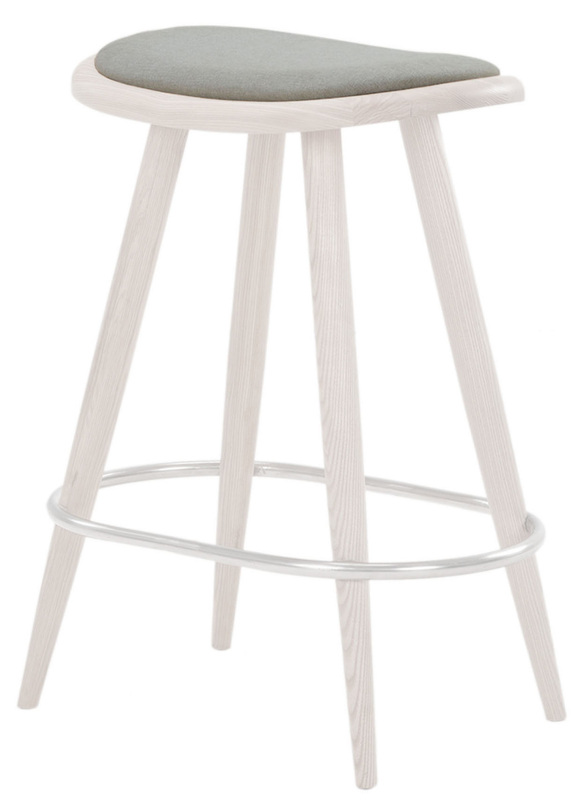 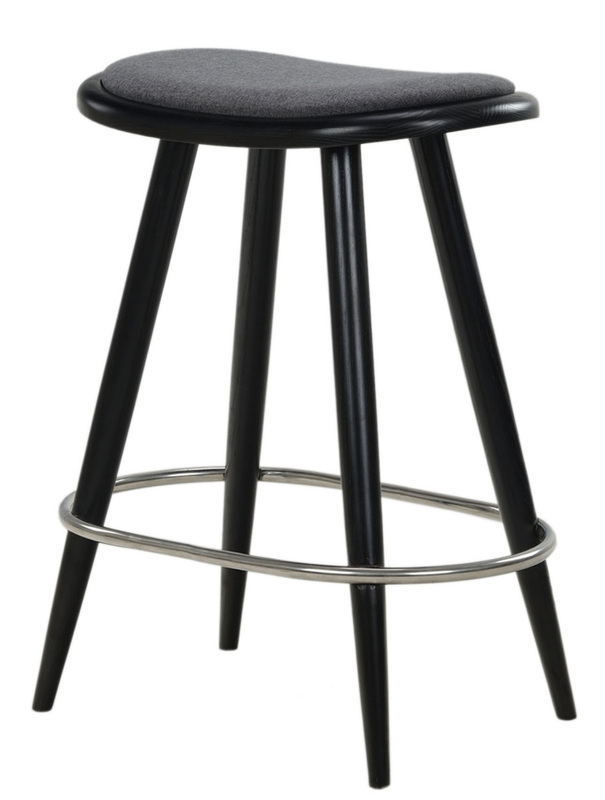 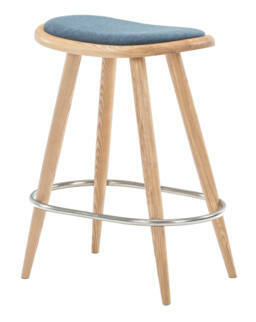 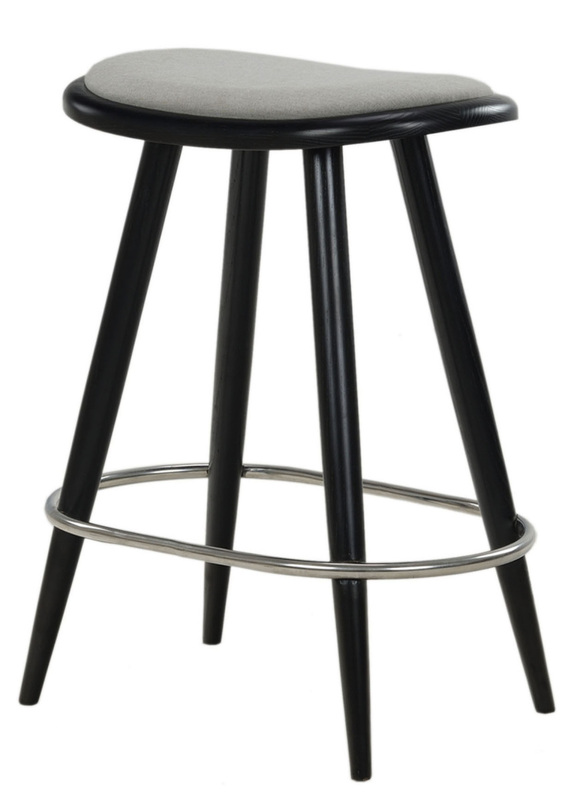 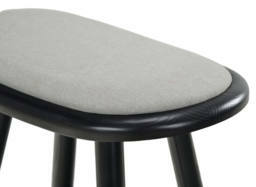 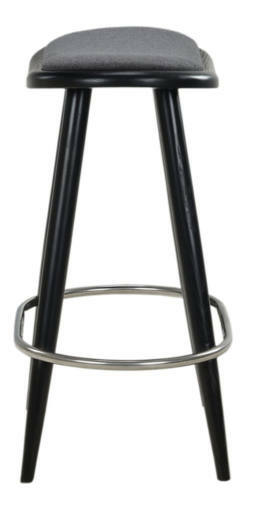 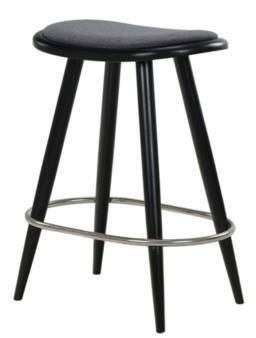 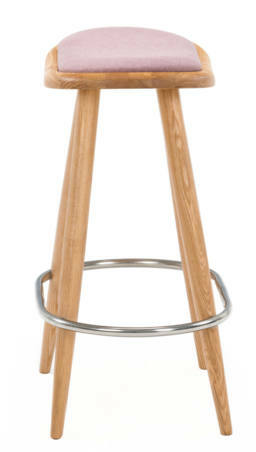 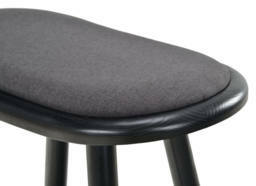 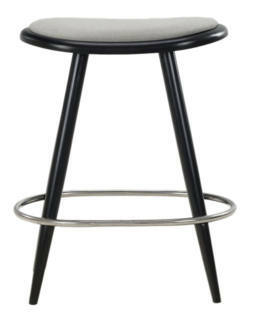 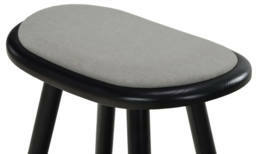 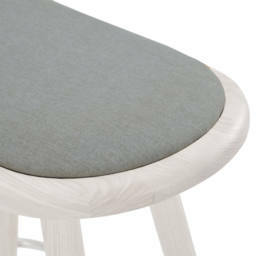 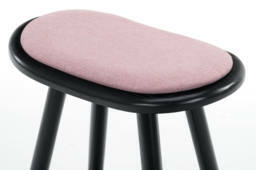 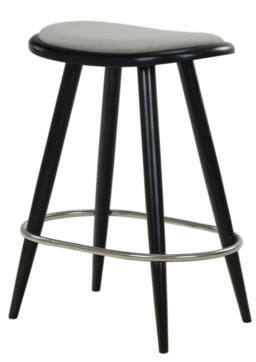 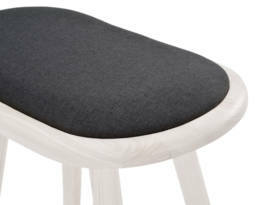 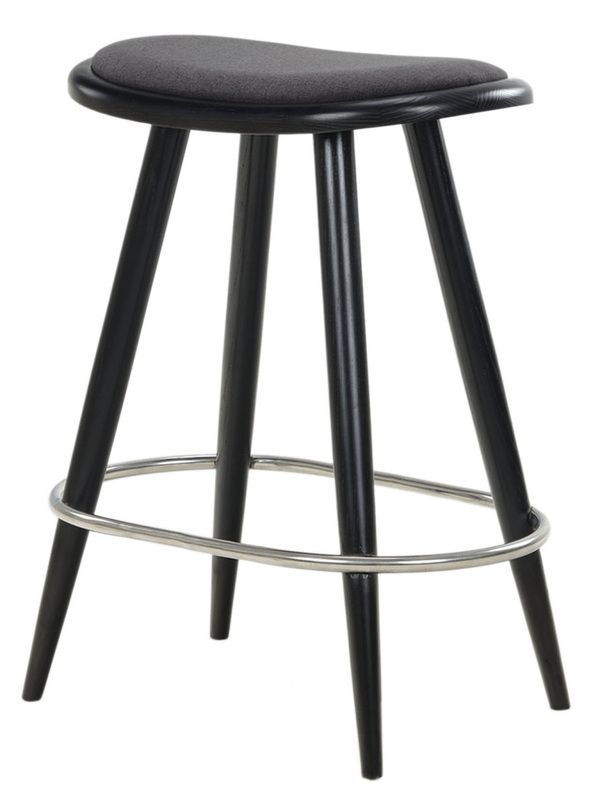 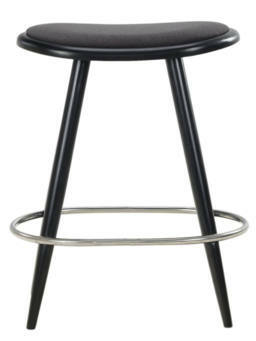 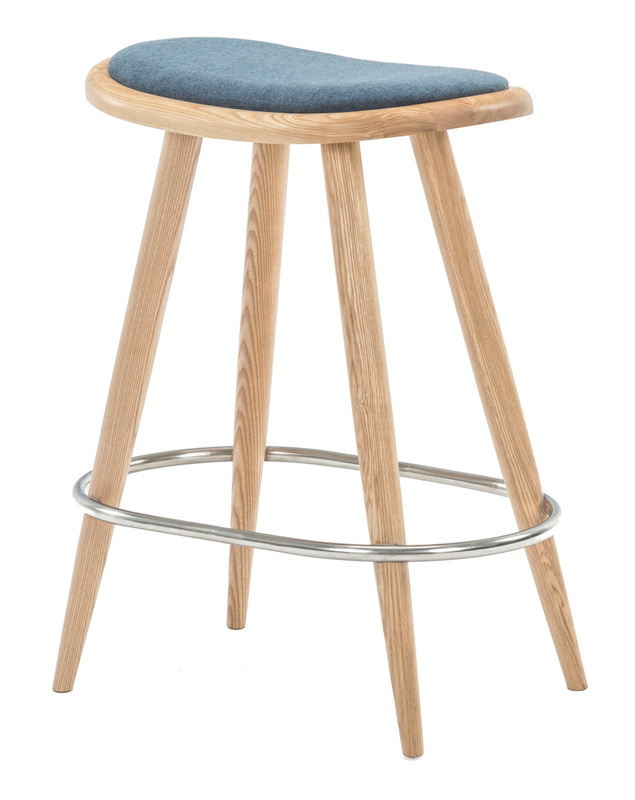 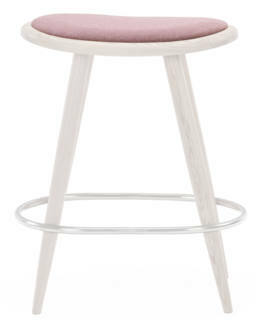 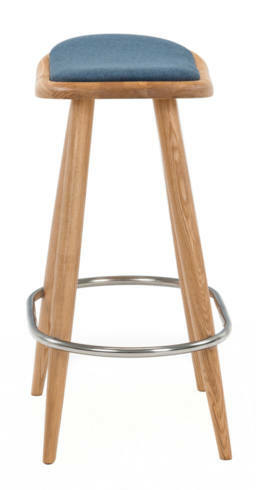 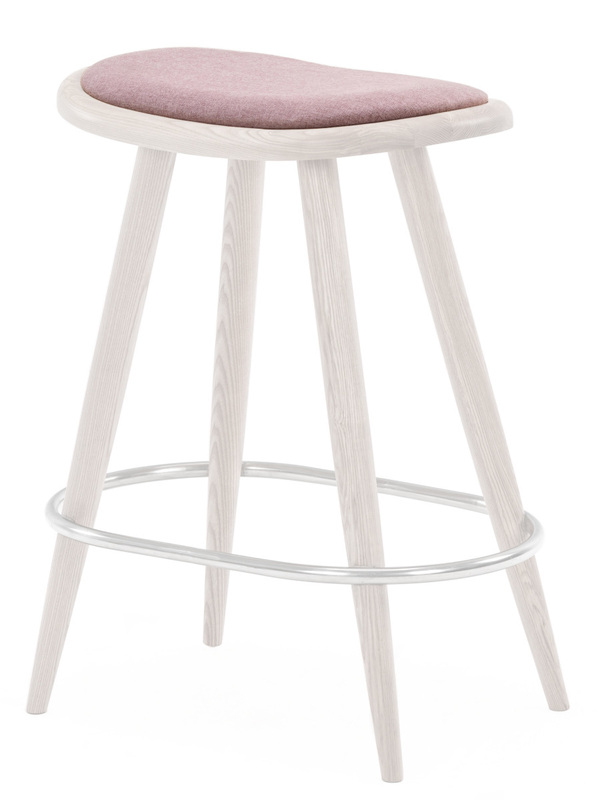 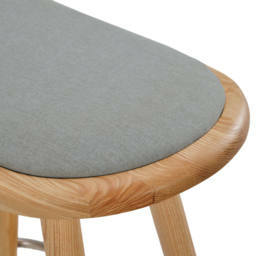 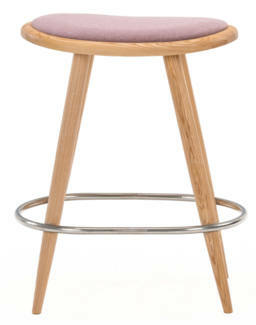 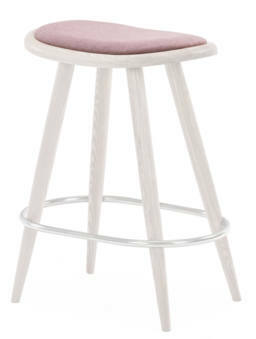 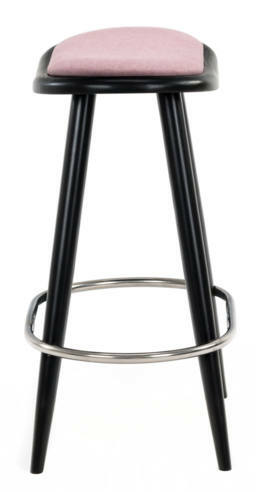 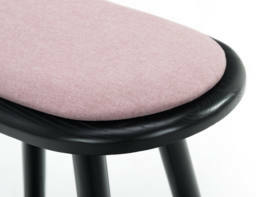 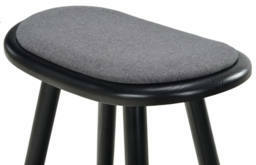 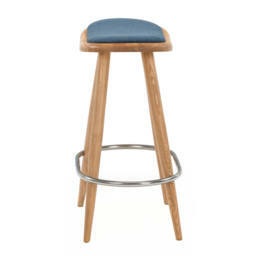 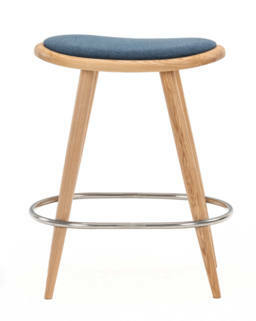 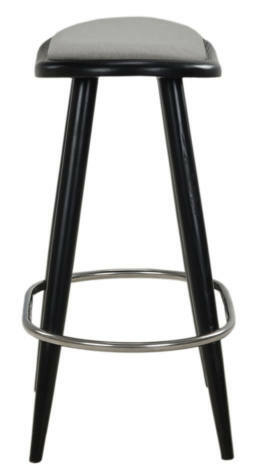 The elegant handmade bar stool NOFU646 adds a touch of minimalist flavor to your kitchen. 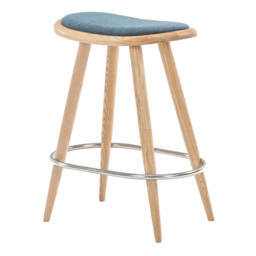 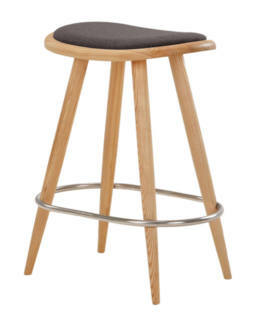 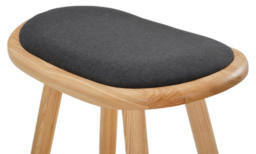 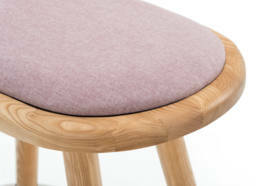 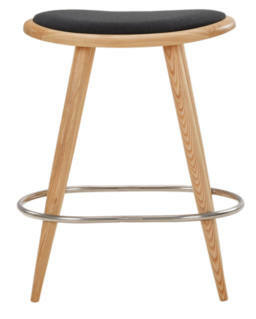 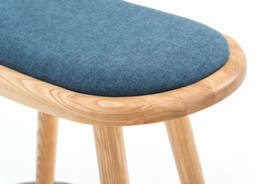 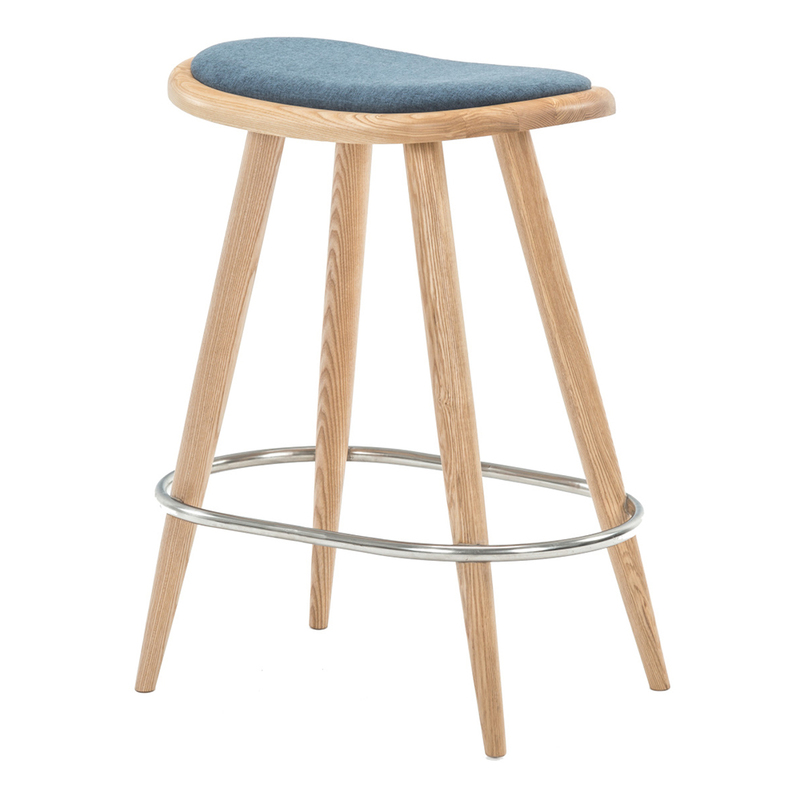 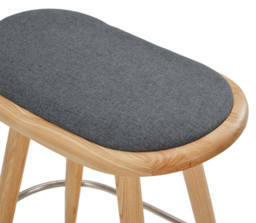 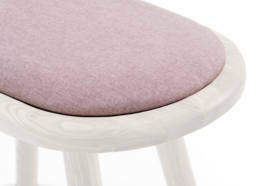 The bar stool if made from solid ash wood with a comfortably padded seat (the textile can be selected to fit your home decor style) so you can hang out in the kitchen all night long. 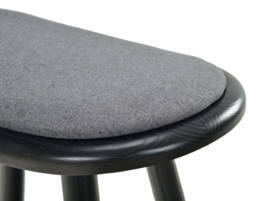 NOFU646 also boasts foot support in hand-brushed stainless steel. 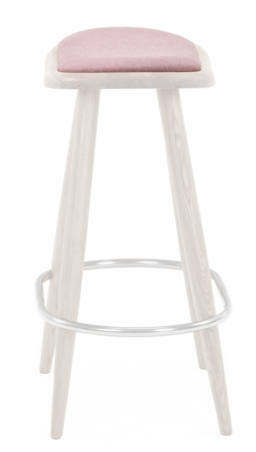 The foot support embraces the chair in a streamlined metal ring and completes the minimalist Scandinavian look of the stool. 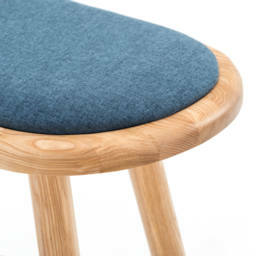 NOFU646 fits perfectly into the Nordic home and is the practical choice for all families with kids as it is easy to clean with a damp cloth.